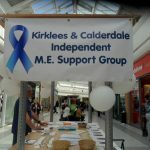 This is the website for the Kirklees and Calderdale Independent ME Support Group. The group was formed by M.E. 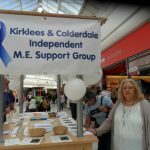 sufferers and their carers to provide support, information and understanding for local people who are learning to live with this illness. 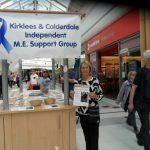 If you have been diagnosed with ME/CFS (Chronic Fatigue Syndrome, Post Viral Fatigue Syndrome) or suspect you may be a sufferer, or care for someone with the illness, we welcome you to join us and find acceptance, friendship, information and support from others who understand and have experienced your difficulties. The events section includes an important notice and details of all coffee meeting dates for winter. KCIMESG would like to thank all who attended our Qi Gong and Buteyko sessions in Huddersfield. We are hoping to do something else in Huddersfield in the next few months. There has been a problem with our email form but we include our email address in the Contact and Connect section. We would like to welcome Hilary to our committee. She is the new treasurer. Our membership section now includes details of all the ways you can become a member of KCIMESG. Remember, all data we hold about people is stored in accordance with our data policy. We are considering making our newsletter available in audio for members whose ME is aggravated by them reading print. Please contact us if you are interested in receiving an audio version of our newsletter. If you are not a member, you can receive our newsletter by joining KCIMESG. Check out our ME Awareness Month photos. Check out the Vacancies section if you are interested in helping us with activities.